Yet more awards for Nibweb member Susie Hodge. Susie writes: ‘Described by the Wall “A chatty discussion of art and its meanings, both commercial and cultural,” the idea for this book evolved from many visits to art galleries and museums, either in the company of children or surrounded by them, and hearing their questions. (Actually, hearing lots of grown-ups’ questions too). The only real problem in planning the book was choosing which questions to leave out. Well, and choosing what artwork to include and what the illustrations should depict. So more than most children’s art books I’ve written, this was a real case of teamwork, from the sensitive editor, to the resourceful picture researcher and the talented illustrator and designer. ‘Overall, the book is lively and, I hope, informative, asking and answering all sorts of tricky questions about what makes art art. It’s meant to encourage readers to ask more questions and to look more closely at art wherever they may see it. Different types of art from different periods are discussed, and the range is broad and hopefully often unexpected. It explores ideas such as whether or not still life is boring, why contemporary art is often weird, how and why art movements develop, whether you need to be clever to understand art, and of course, why art is always full of naked people. 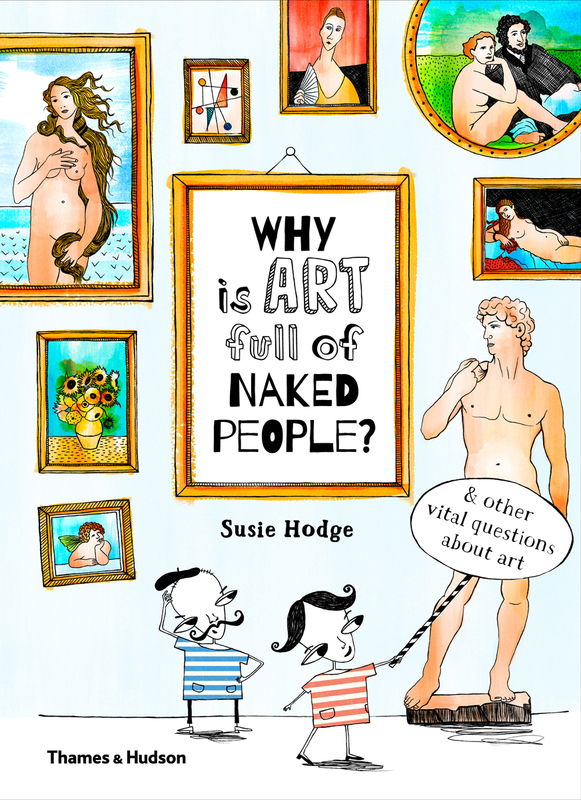 Why is Art Full of Naked People? has so far won: Gold Award for Made for Mums; FILAF Best Young People’s Art Book; and Vlag en Wimpel Honourable Mention. Why is Art Full of Naked People? by Susie Hodge is published by Thames and Hudson Ltd.